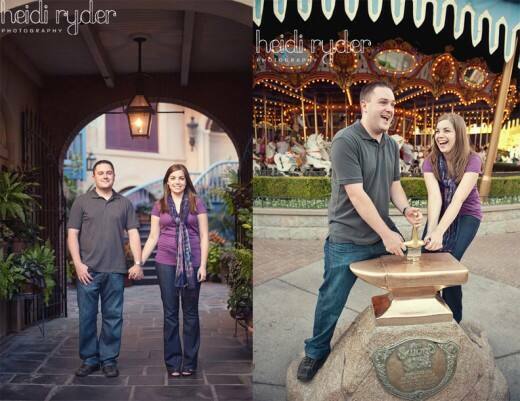 When I came across Steve & Ashley's photos, my heart melted. 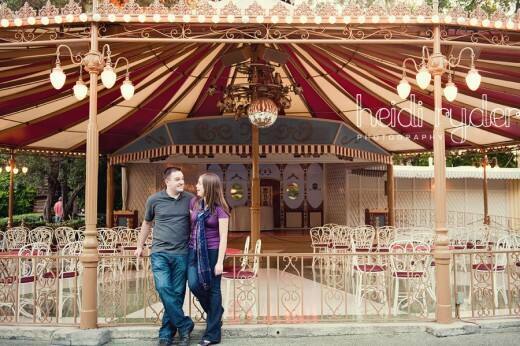 The pair were high school sweethearts and said "I do" eight years later- on their anniversary. 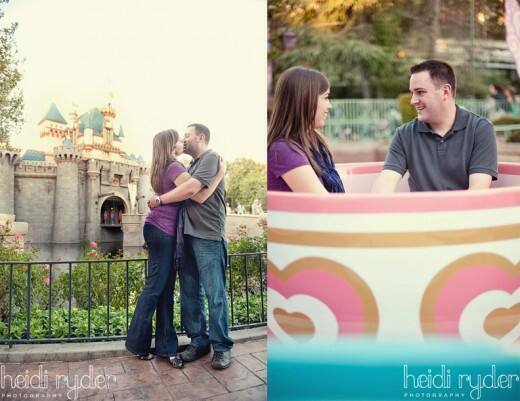 Steve was born in Anaheim and went to Disneyland after school with his Dad almost every day. 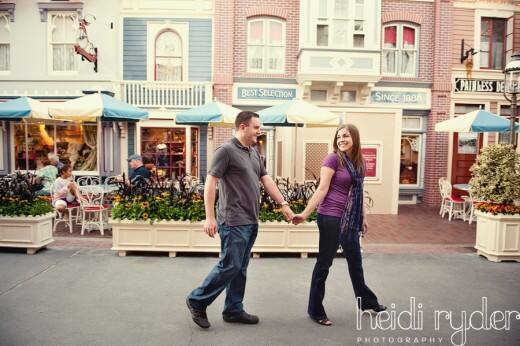 The pair took their first trip to The Happiest Place on Earth together with their high school marching band a month after they started dating. 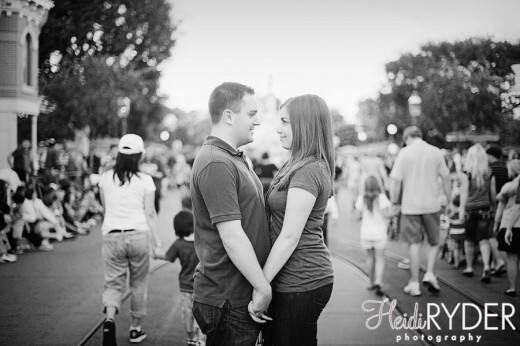 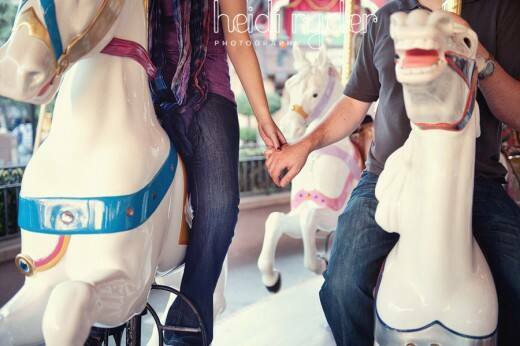 If you think their engagement photos by Heidi Ryder Photography are sweet, be sure to check back next week to see pictures from the couple's Disney's Fairy Tale Wedding!